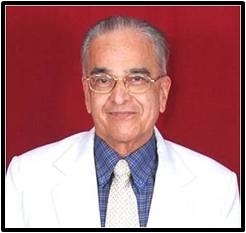 Currently 80 years old, Dr. P. V. Vartak was born in Pune, Maharashtra, Bharat (India) in 1933. Dr. Vartak attended NMV High School. He went on to receive a MBBS Degree in 1956. Higher study for MS. He received Fellowship of United Writers' Association of India (FUWAI), Chennai. The International University of Contemporary Studies has conferred upon him Doctorate of Philosophy in Literature. Other than English Dr. Vartak is fluent in Marathi, Hindi & Sanskrit. He was married to Shobhana Vartak. They have three children, two sons & one daughters. His parents were Vishnu and Manorama Vartak. His father was the millionaire businessman. Both his mother and father were prominent in the Brahmin community. He worked as a Lecturer & Hon. Surgeon. Has presented many research papers in Spiritual & Medical Conferences, writing articles in newspapers & magazines since 1971. He is a renowned scholar who has been instrumental in unfolding many scientific facts from ancient Indian scriptures & presented it to the modern day generation in lucid & intelligible form. Besides being a spiritualist & a medical professional, he combines in himself the attributes of a Historian, Astronomer & Philosopher. Has delivered more than 5000 Lectures all over India related to above subjects. Despite his advance age of 80, he is still in practice of Medicine as well as Yoga. He is the Founder & President of two Institutes. Veda Vidnyan Mandal : The Veda Vidnyaya Mandal, Pune is a research institute founded by Dr. Vartak in 1976. Its aim is to re-search the ancient Indian science from Rigveda to recent litrature. Dr. Vartak has done profound research and has authored those books in English & Marathi languages. All his literature exhibits science in ancient India. Adhyatma Samshodhan Mandir : The aim is to propagate research in the spiritual science with scientific views & to establish true spiritual science, removing all the superstitions & misconceptions. He got the title BRAHMARSHI in 1993. He got the title SAMAAJ BHOOSHAN. He got the title SHRUDDHANAND. He got the titleJNAANASOORYA in 2008. He got the title PRAJNANA-BRAHMA in 2009. He got the title A 360 deg on VEDIC SCIENCE & YOGA in 2014.